From London to Cornwall, then to Italy and France, a short, shabby priest takes on bandits, traitors, and killers. Why is he so successful? The reason is that after years spent in the priesthood, Father Brown knows human nature and is not afraid of its dark side. Thus he understands criminal motivation and how to deal with it. 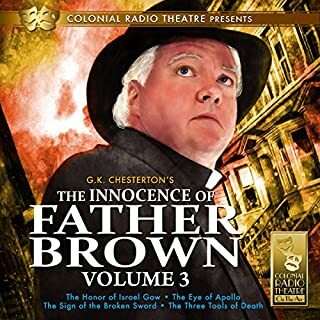 The award-winning Colonial Theatre on the Air has dramatized G. K. Chesterton's Father Brown stories. 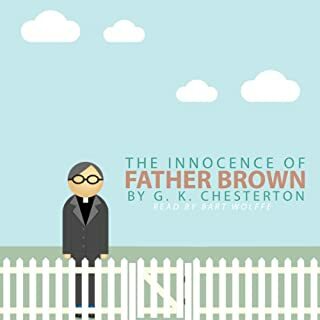 Eight Stories from “The Innocence of Father Brown” in which the affable Norfolk Priest uses his insight into human nature and eccentricity to solve the seemingly unsolveable. From London to Cornwall, then to Italy and France, a short, shabby priest takes on bandits, traitors, and killers. Why is he so successful? The reason is that after years spent in the priesthood, Father Brown knows human nature and is not afraid of its dark side. Thus he understands criminal motivation and how to deal with it. 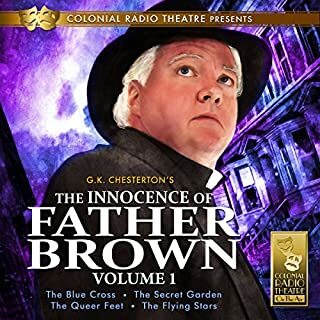 The award-winning Colonial Theatre on the Air has dramatized G. K. Chesterton's Father Brown stories from The Wisdom of Father Brown with a full cast, music score, and sound effects. 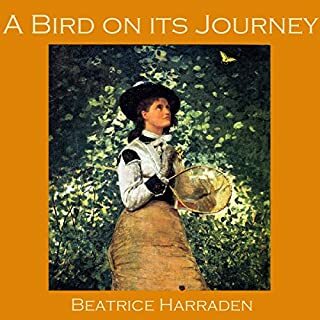 This is a story from the The Happy Prince and Other Stories collection. Harker Brayton accepts an offer from an associate to stay at his house. We and Brayton learn that his friend's home is also home to numerous serpents. In fact, a wing of the house - the "Snakery" - is full of the cold blooded creatures, which have been known to wander. From London to Cornwall, then to Italy and France, a short, shabby priest takes on bandits, traitors, and killers. Why is he so successful? The reason is that after years spent in the priesthood, Father Brown knows human nature and is not afraid of its dark side. Thus he understands criminal motivation and how to deal with it. In "The Red-Headed League", the legendary Sherlock Holmes catches one of London's most daring criminals while investigating the strange business of the League, a suspicious organization that gives its members money for "nominal work". "The Blue Cross" is the first Father Brown short story by Chesterton, who went on to write an entire series of Father Brown Mysteries. 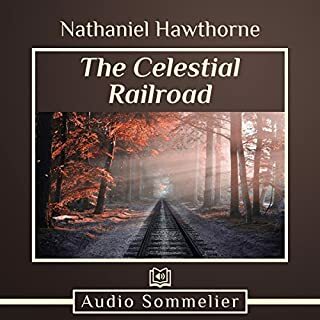 In this story, Aristide Valentin, head of the Paris Police, is on the trail of the world's most famous criminal, Flambeau, who is a master of disguise, and may appear to be anyone. Valentin deduces that Flambeau is going to try and steal "The Blue Cross", a priceless silver cross with precious blue stones. Valentin must stop him, but in this case it is actually Father Brown who is the better detective. Madame Mathilde Loisel is sure she was meant to be an aristocrat, but she was born into a middle-class family and married off to a middle-class clerk. When her husband procures them invitations to a high-society party, Loisel goes all out to impress. She borrows a diamond necklace from a wealthy acquaintance and has the time of her life - until the necklace goes missing. In “The Necklace”, de Maupassant showcases his signature twists of fate and social commentary in a story that will leave you speechless. A reverend warns his brother, a lustful colonel, that God will strike him in the street if he does not reform. Within the hour, the military man is dead. 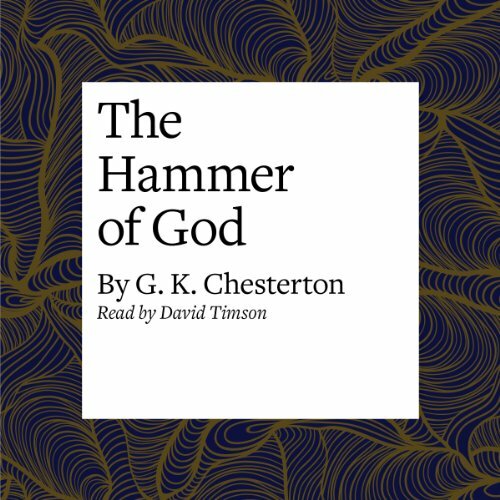 The Almighty is quickly ruled out as the one who struck a small hammer through his skull, and it turns to G. K. Chesterton’s quirky cleric and masterful detective, Father Brown, to unravel the passions behind the crime. 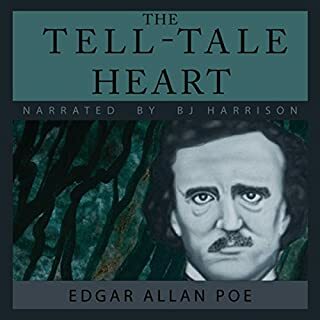 A veteran of more than 1,000 BBC Radio Drama broadcasts, David Timson is a delight - providing the perfect mix of cheek and concern to all the characters - in his performance of Chesterton’s tales which are not so much expositions of mysteries as they are entertaining inquiries into human nature. Here are the six final stories from The Innocence of Father Brown relating the crime-solving adventures of a rather unconventional detective. Having accumulated wisdom and empathy from years of listening to the dark confessions of his parishioners, in a flash Father Brown is able to solve mysteries that confound all others. Here is an eccentric and loveable character that will appeal to fans of the legendary sleuth Sherlock Holmes. The stories are engagingly read by David Timson: "The Wrong Shape", "The Sins of Prince Saradine", "The Hammer of God", "The Eye of Apollo", "The Sign of the Broken Sword", and "The Three Tools of Death".